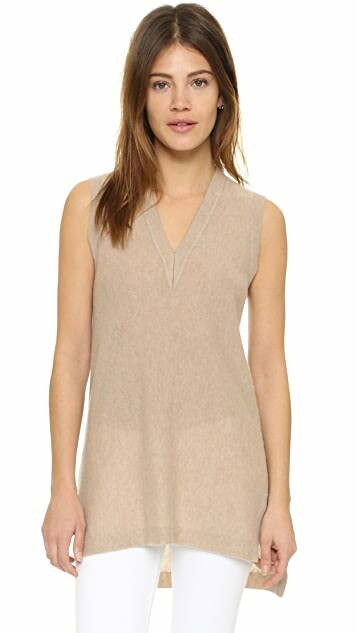 A long Vince top with a relaxed fit, rendered in super-soft cashmere. Split hem. 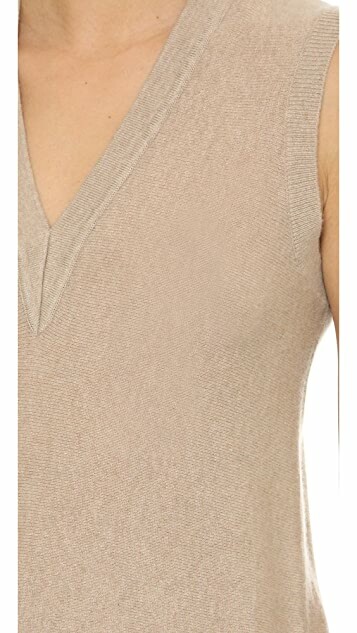 Deep V neckline. Ribbed edges. Sleeveless.